Carthay Circle Restaurant is a table service restaurant in Buena Vista Street at Disney's California Adventure. It's a top quality meal. 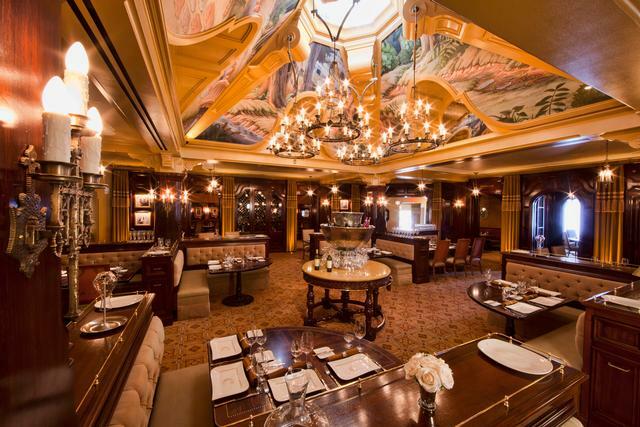 Under the direction of award-winning chef Andrew Sutton, the Carthay Circle is California Adventure's premier table-service restaurant, located in the park's iconic reconstruction of the theater building where Walt Disney premiered his first animated feature, "Snow White and the Seven Dwarfs." Popular starters include Fire Cracker Duck Wings, with a Sriracha chili sauce, and Carthay Signature Fried Biscuits, stuffed with white cheddar, bacon and Jalepeno. Main courses are California eclectic - including salads, Asian noodles, Mediterranean pastas, fresh fish, beef, lamb and an Angus bacon cheeseburger, ranging from $18-$30 at lunch.